Are you in the market for your first home in Georgia? 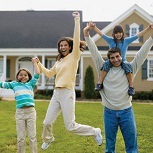 Would you like the details regarding various programs to help you purchase that first home? If you answered yes to these two questions, there is great news for you. The state of Georgia provides financial assistance programs and incentives for its residents who are first time home buyers and need help with the down payment and closing costs. It will be well worth your time to investigate the details of the grant programs that the State of Georgia provides. 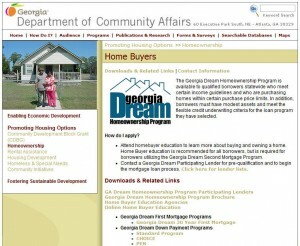 The agency in Georgia that created the programs and administers the assistance to first time home buyers is The Georgia Department of Community Affairs. There is just one such grant available, depending upon your income. The program is the Georgia Dream Homeownership Program. To find out the specific requirements, please visit the Georgia Department of Community Affairs website page specifically describing this beneficial grant program. The Georgia Dream Homeownership Grant Program is available to qualified borrowers statewide who meet certain income guidelines and who are purchasing homes within certain purchase price limits. In addition, borrowers must have modest assets and meet the flexible credit underwriting criteria for the loan program they have selected. In addition to the grant programs described above, the U.S. Department of Housing and Urban Development provides home buyer assistance and grants in every state. There are several programs designed specifically for people that meet certain requirements, such as grants for people with disabilities so they can continue to live independently at home. It is worth visiting HUD’s website to see what assistance is available now. For your convenience, simply go to this website. The Invest Atlanta Downpayment Assistance Program consists of Neighborhood Lift Program (NLP), Atlanta Affordable Homeownership Program (AAHOP), and Vine City/English Avenue Home Ownership Assistance Program (HOAP). 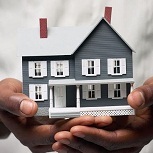 These programs provide funding to eligible homebuyers for purchase of a new or existing home. Funding will be used to pay all or a portion of the closing costs and/or the down payment associated with purchasing a home. 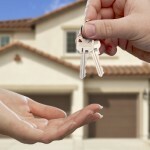 First-time homebuyers as well as previous homeowners are eligible for these programs. Hall County residents purchasing their first home can now apply locally for down payment assistance. Low to moderate income homebuyers will be awarded $2,500-$5,000 toward a down payment or closing costs. About 60 grants will be awarded to first-time homebuyers or displaced homemakers. The Georgia Department of Community Affairs funnels federal grant funding to counties through the Community Home Investment Program. The local grant administrator, Home Development Resources Inc. (HDRI), started accepting applications this week for the funds. “This service is in high demand in Hall County, especially considering the economic conditions. The grant money is usually gone within six months, so I encourage people get their applications submitted quickly,” said Mary Ledbetter, HDRI Executive Director. The Housing Department offers three Dream Maker programs with different levels of home buying assistance offering affordable loans for downpayment assistance, closing costs, gap financing and other related expenses. The level of assistance varies depending on the location and construction type of the home. Up to $3,000 deferred, repayable upon transfer of title, refinance, or demise. Up to $6,000 deferred, repayable upon transfer of title, refinance, or demise. Maximum Loan amount: New Construction in Revitalization & CDBG Areas. Home must be pre-approved by the DOH for the DM 3 program prior to Construction beginning. DOH Targeted Revitalization Area – Up to $30,000 1-story house and $40,000 2-story house. 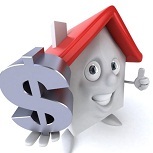 Minimum of $500 Home buyer contribution. This entry was posted in First Time Home Buyer Grants, First Time Home Buyer Info, First Time Home Buyer Programs and tagged closing cost assistance, down payment assistance grant, Georgia Department of Community Affairs, Georgia Dream Homeownership Program. Bookmark the permalink.